Crea+ delivers rapid acting carbohydrates that force a powerful insulin spike post-workout. 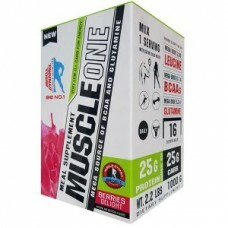 This helps shuttle creatine and other nutrients into the muscle and rapidly replenishes glycogen stores, facilitating glycogen super compensation and an intense muscle-expanding effect. Whey One is a premium protein designed to build muscles, help keep your body in an anabolic state and prevents catabolic muscle wasting. This protein formula features multiple quality amino acids. It has enhanced whey proteins – making it a multi-functional protein supplement that ensures a superior bio-available protein source for athletes. Each serving of Whey One contains 24 grams of high-quality, fast digestible, micro-filtered whey protein that supports muscle growth, boosts your immune system and ensures full recovery. PROLEAN is Great-tasting, hunger-satisfying very low-carb meal replacement ideal to use to build muscles and to lose fat. It combines fast-digesting whey protein with slow-acting casein, the result is a highly bioavailable fuel for your body. Palatinose TM is a naturally sourced smart carbohydrate, providing full carbohydrate energy (4kcal/g) in a more balanced way thanks to its low-glycaemic profile. By improving fat oxidation during physical activity, it prolongs energy supply. In addition, it is the first non-cariogenic carbohydrate, gentle on teeth. 25 grams of the exclusive GSR protein blend to support your protein intake. – Whey protein: Whey protein is the ultimate source of protein and is the highest quality protein available. Whey protein is also a rich source of branched chain amino acids (BCAAs), containing the highest known levels of any natural food source. – Calcium caseinate: As a dietary supplement, gym users bodybuilders use calcium caseinate because this type of protein breaks down more slowly than whey protein, providing a sustained release of amino acids. Low fat (CLA) to support a lean, healthy body. As a dietary supplement, add 1.5 scoops with 300 ml of water. Mix well. Drink two shakes daily in conjunction with a healthy weight management program. Intensive training and competing in sport can actually cause muscle loss. Even power athletes like rugby players, MMA fighters and sprinters tend to lose muscle during times of intensive training and participation. HMB 3600 is the ultimate sports nutrition product to prevent muscle loss, and it can also support gains in size and strength by speeding recovery between workouts. Iso Gold is an excellent quality protein from whey isolate and fortified with even faster absorbing whey hydrolysate. This formula is lower in carbohydrates . Iso’s protein is produced to have a higher percentage of protein than whey “concentrates”, which also means that “isolates” have lower sugar and fat content. It contains high-quality, fast digestible 29g of ultra -micro filtered whey protein per serving to support muscle growth, boost your immune system and a full recovery. Micronized Creatine Monohydrate can significantly boost your training for muscle size, strength and explosive power by providing a greater stimulus for muscle hypertrophy. Research has shown increases in lean body mass, arm girth, thigh girth and chest girth as well as increased generation of power during repeated sprints. Creatine monohydrate has been widely used by power athletes and bodybuilders for over twenty years and continues to grow in popularity. Creatine Monohydrate is the purest form available and is laboratory tested to be free from contaminants. Arginine alpha-ketoglutarate (AAKG) is the salt of arginine and alpha-ketoglutaric acid bonded together. Both arginine and alpha-ketoglutaric acid are precursors to nitric oxide (NO) production. The rate-limiting step of amino acid uptake into skeletal muscle is the transportation of the amino acids through the blood to the skeletal muscle, which is governed by blood flow. Nitric oxide vasodilates blood vessels, thereby increasing blood flow. This increase when combined with exercises means greater blood flow and greater amino acid deliver and uptake in the working skeletal muscle. Exercise itself results in an increase in nitric oxide production, and the increased blood flow created by exercise is believed to be linked to the increase in protein synthesis post workout. It is easy to dilute and mix very easily. HIGH QUALITY: Micro-refined, vegan friendly BCAAs and amino acids. As a dietary supplement, take 1 serving mixed into your favorite beverage twice daily on an empty stomach. On workout days, take 1 dose 15 minutes prior to your workout, take your second dose at least 4 hours before or after your first dose. On non-workout days time your doses at least 4 hours apart. To maximize results, drink at least 2 L of water daily. Iso Gold is an excellent quality protein from whey isolate and fortified with even faster absorbing whey hydrolysate. This formula is lower in carbohydrates. Iso’s protein is produced to have a higher percentage of protein than whey “concentrates”, which also means that “isolates” have lower sugar and fat content. It contains high-quality, fast digestible 29g of ultra -micro filtered whey protein per serving to support muscle growth and to boost your immune system. Pro Bolics is a gradual sustained release protein designed to keep your body in an anabolic state and to prevent catabolic muscle wastage. It is designed to start feeding your muscles with easily digestible free form amino acids followed by the protein isolate, then by the protein concentrate and ultimately by calcium caseinate. 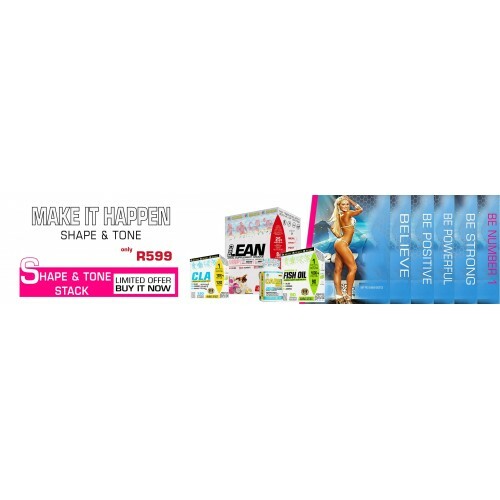 This sustained amino acid delivery formula makes it ideal for anyone on a reduced calorie diet or for someone who needs a protein boost to tone and build lean muscles.